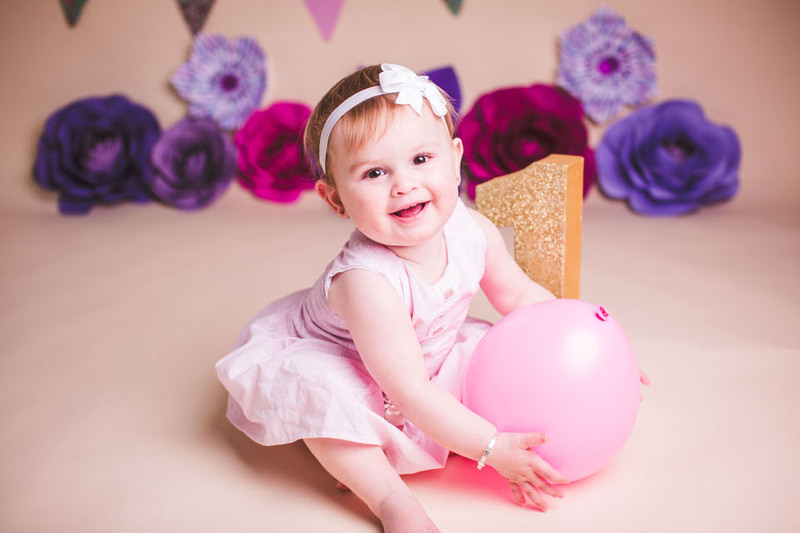 We start with a cute portrait session with balloons, bunting and a big glittery '1.' 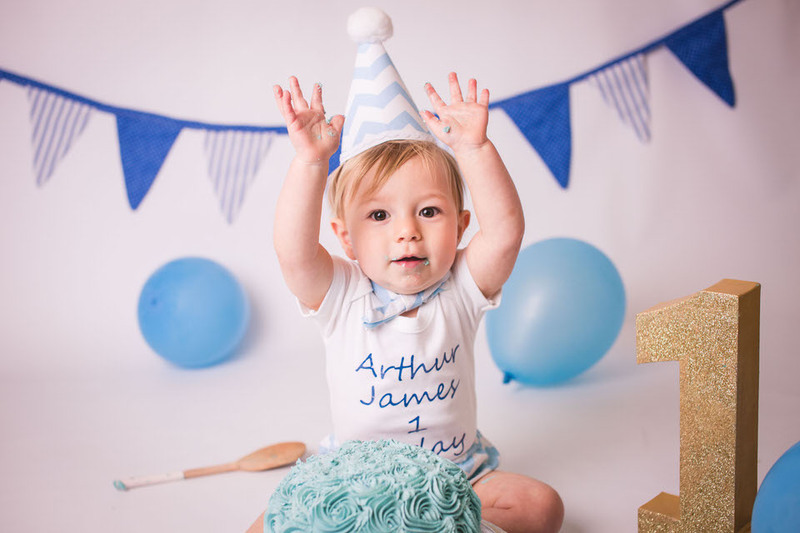 Then we get the cake out which is beautifully decorated with buttercream, give your baby a wooden spoon and let them go crazy! 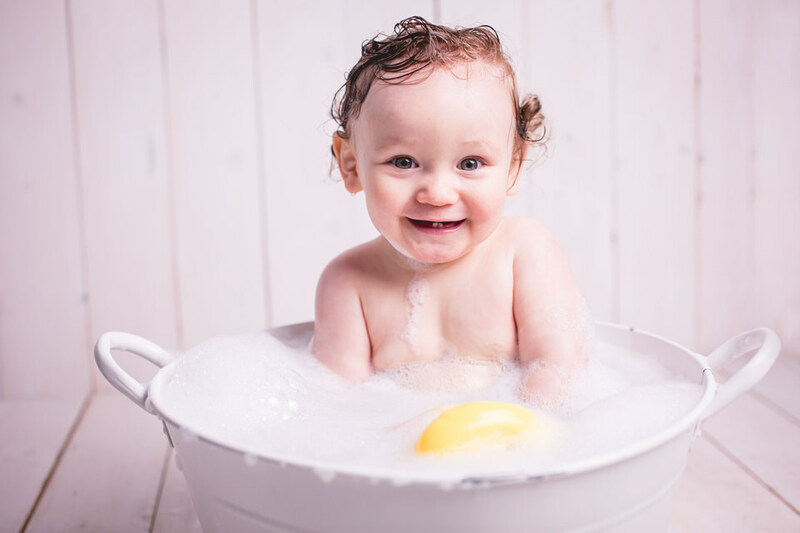 After all the fun of smashing up a cake we put your little one in a bath to clean off and we get some super adorable bath time photos! 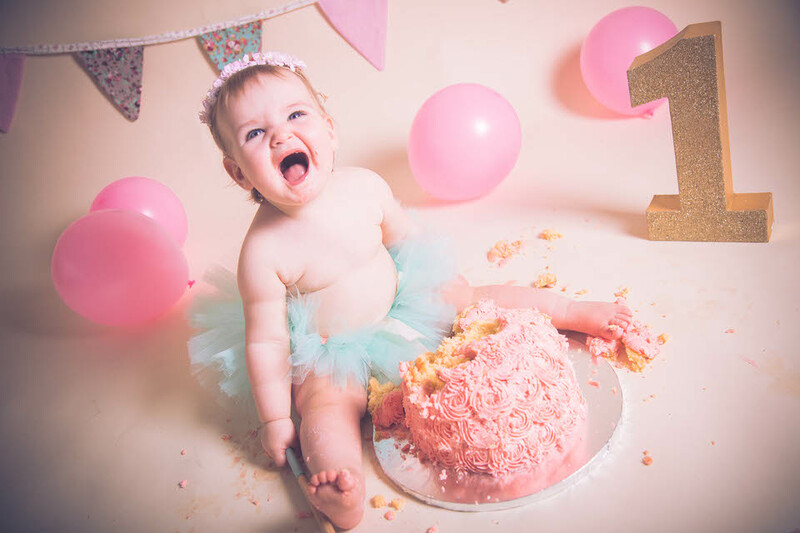 Try something different, special and memorable for your child's first birthday and book a cake smash and splash with me! 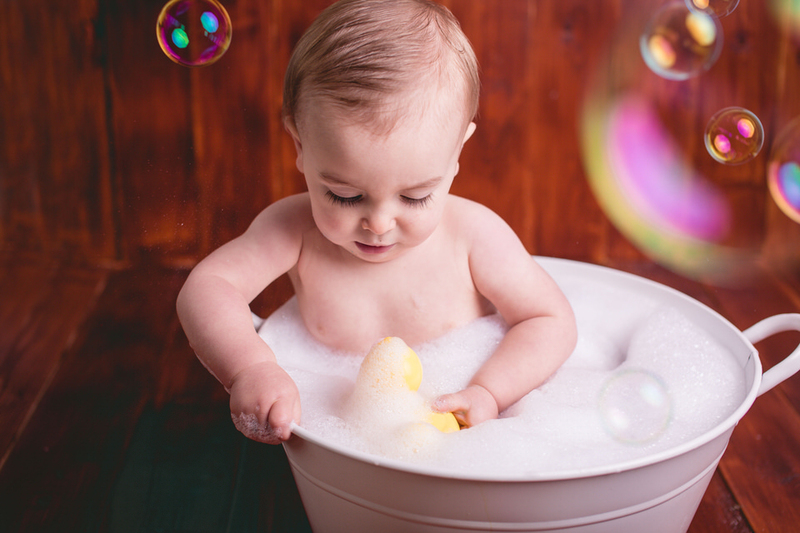 ​Prices and packages can be found below. 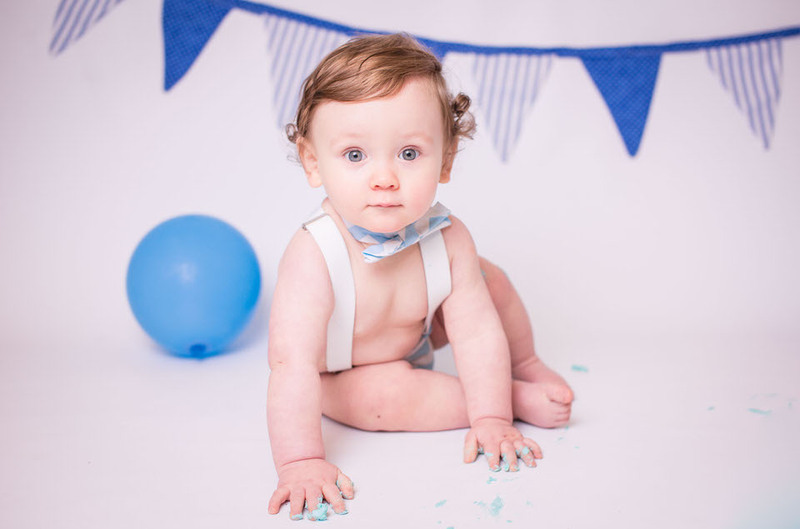 Prices are subject to change at any time, to secure the prices you see today get in touch to book.